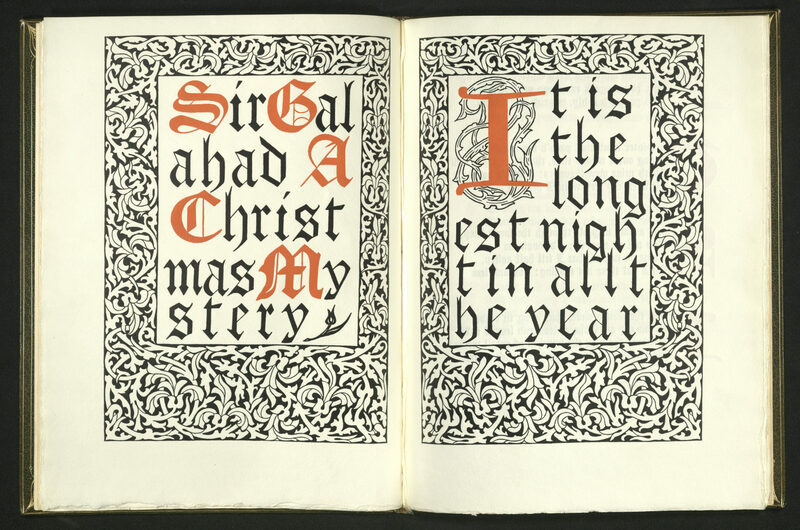 Originally published in 1859, this was William Morris’s first published poem in book form. 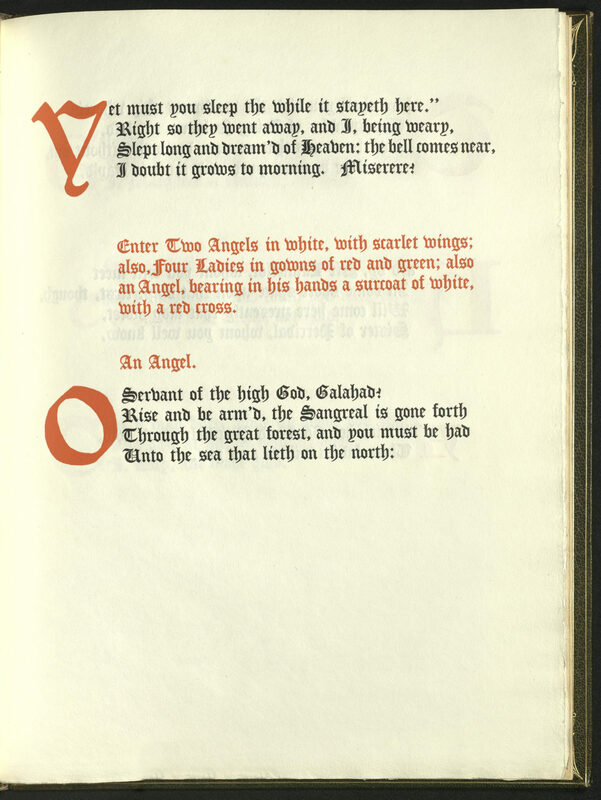 The poem, about the reaffirmation of a doubted faith, was illustrated by Helen Marguerite O’Kane (1879-1927) and printed in black and red by her husband, Clarke Conwell. 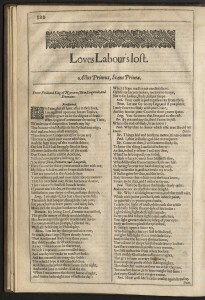 Decorated borders and two full-page pictures illustrate the text. The typesetting of this book is somewhat controversial. Early critics called it ostentatious. 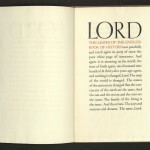 Later, others argued that the page size carries the bold, striking type well. Printed on handmade paper. This copy is bound in full green crushed morocco. The spine is gilt with raised bands decorated with gilt borders with floral designs. Leather inlays are on the front and back covers. Gilt also borders the inside covers over marbled endpapers. Edition of one hundred and eighty copies. 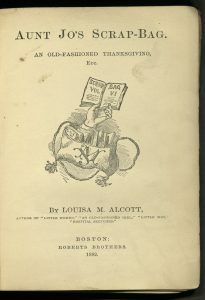 Aunt Jo’s Scrap-bag: An Old-Fashioned Thanksgiving, etc. 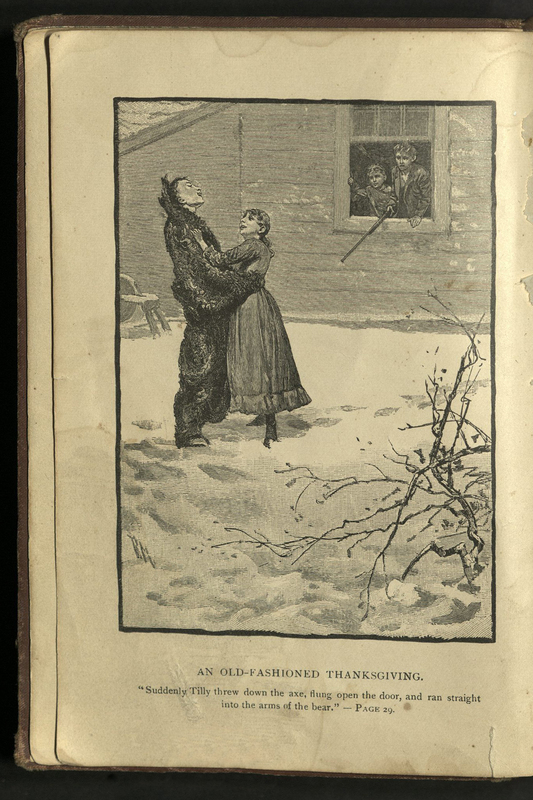 “Aunt Jo’s Scrap-Bag” is a series of six books containing sixty-six fiction and non-fiction stories, begun in 1872 and completed in 1882 with this volume. 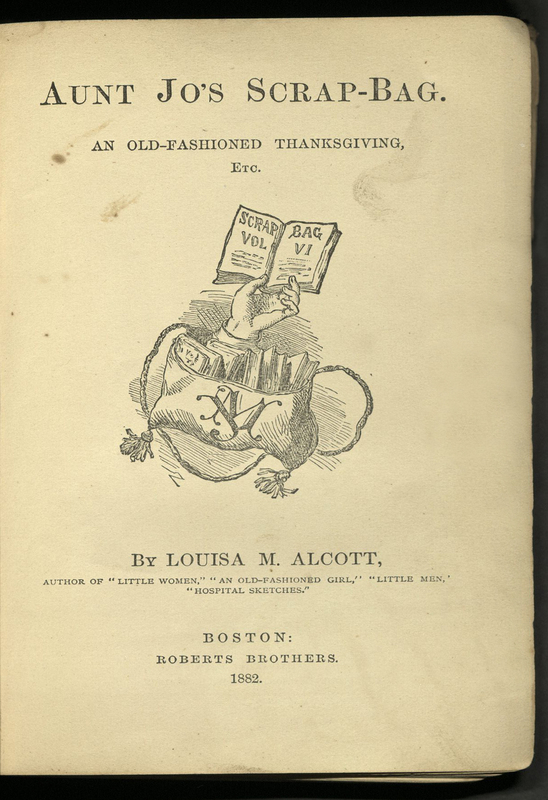 Louisa May Alcott’s stories for children ranged from personal experiences to fantasy, all providing life-lessons in good will. 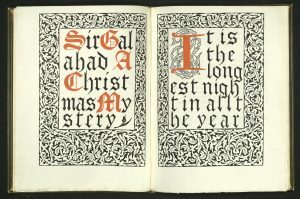 The volumes were issued as Christmas gift books. Some of the stories were reprints, some original to these volumes. 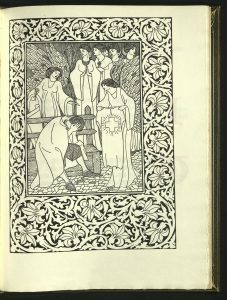 Illustrated with two full-page black and white plates. The volumes were uniformly bound, but in various colors. This volume bound in brown blind stamped cloth with gilt spine. Charles Lutwidge Dodgson’s now-famous Alice’s Adventures in Wonderland was intended solely for Alice Liddell and her two sisters. 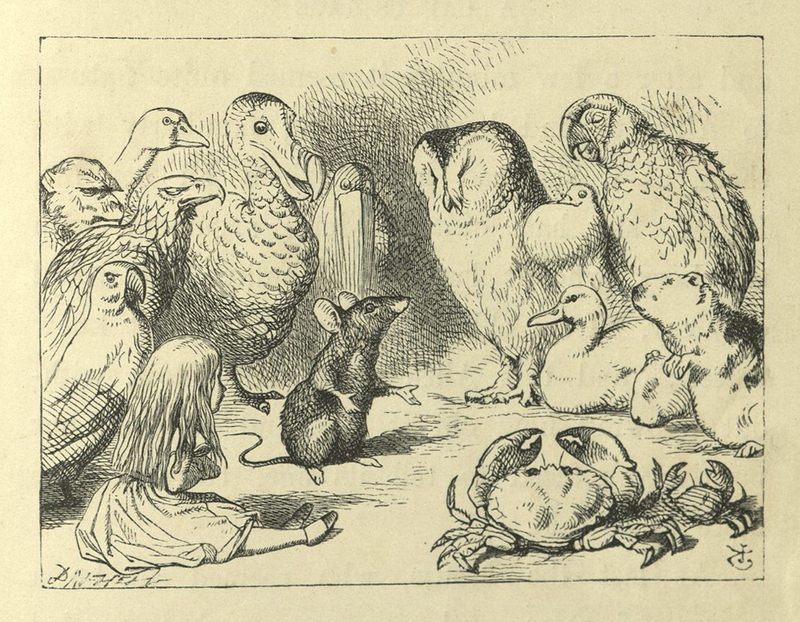 Dodgson made the story up to entertain the bored children during a series of outings. Alice asked Dodgson to write the story down. 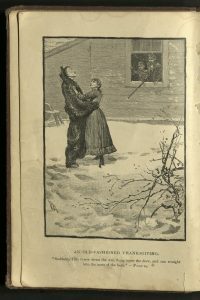 Dodgson presented his manuscript to Alice as a Christmas gift in 1864. Friend and novelist Henry Kingsley saw the manuscript and encouraged Dodgson to publish the book. Dodgson consulted another friend, George MacDonald. 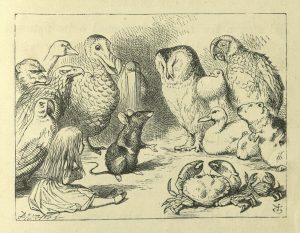 The first edition included forty-two illustrations by John Tenniel, a cartoonist for the magazine, Punch. 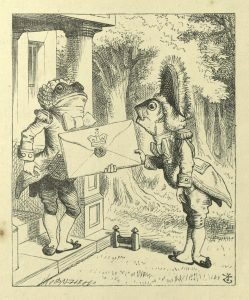 The edition of 4,000 copies was released, under the pseudonym “Lewis Carroll,” in time for Christmas in December of 1865, carrying 1866 as the publication date. 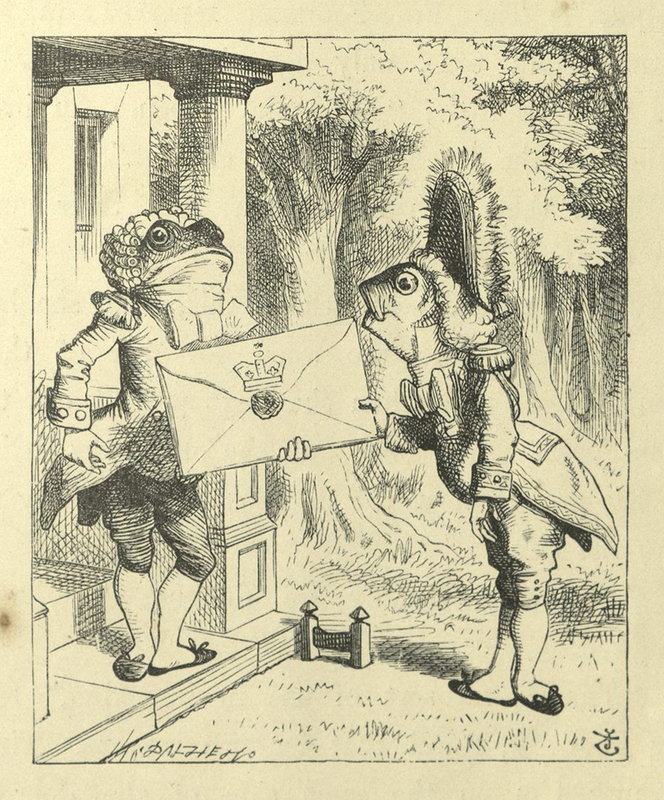 However, Tenniel and Dodgson disapproved of the quality of the printing. 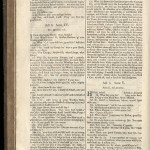 This first printed edition was removed from the market. A few of these printings made their way to the United States. 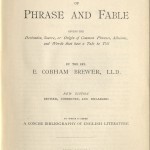 The book was reprinted and re-released in 1866. By 1884, 100,000 copies had been printed. 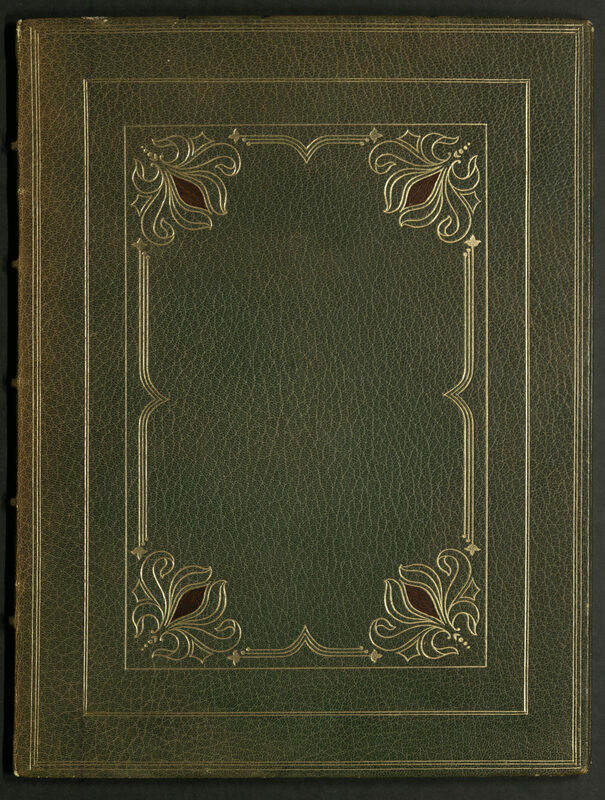 University of Utah copy is in original gilt pictorial cloth bindings. The inside front boards bear two bookplates, one of Harvard scholar Cyril Bathurst Judge (b. 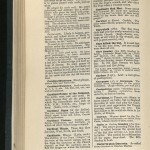 1888), the other of book collector Michael Sharpe. Anonymous donation facilitated by Michael Thompson of Michael R. Thompson Rare Books, Los Angeles, California. 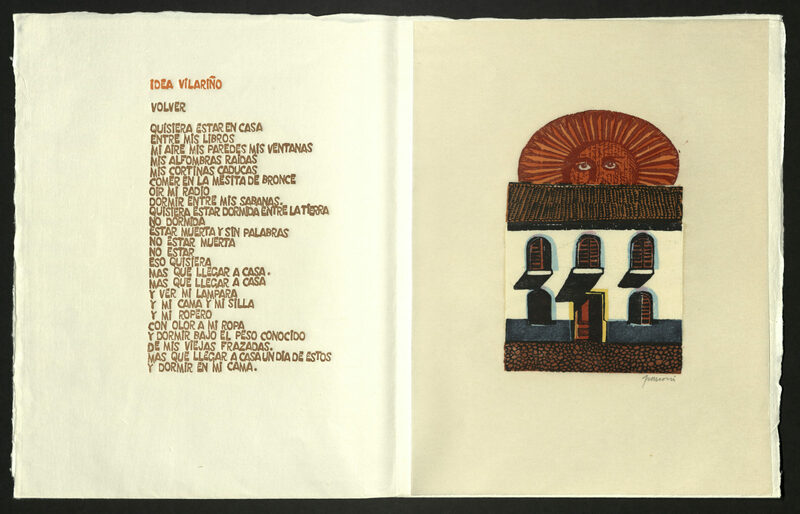 Thanks to generous support from the Center for Latin American Studies, Rare Books has purchased a rare copy of a work by Argentinian artist Antonio Frasconi. 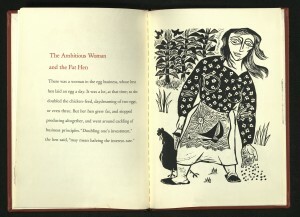 Twenty-one full-page color woodcuts, each signed by the artist. Printed on Japanese paper. Poets include Juana de Ibarbourou (1892 – 1979, Uruguay), Cesar Vallejo (1892-1938, Peru), Vicente Garcia Huidobro Fernandez (1893-1948, Chile), Gabriel Mistral (1889-1957, Chile), Nicolas Guillen (1902-1989, Cuba), Pablo Neruda (1904-1973, Chile), Nicanor Parra (b. 1914, Chile), Joaquin Pasos (1914-1977, Nicaragua), Octavio Paz (1914-1998, Mexico), Idea Vilarino (1920-2009, Uruguay), Claribel Alegria (b. 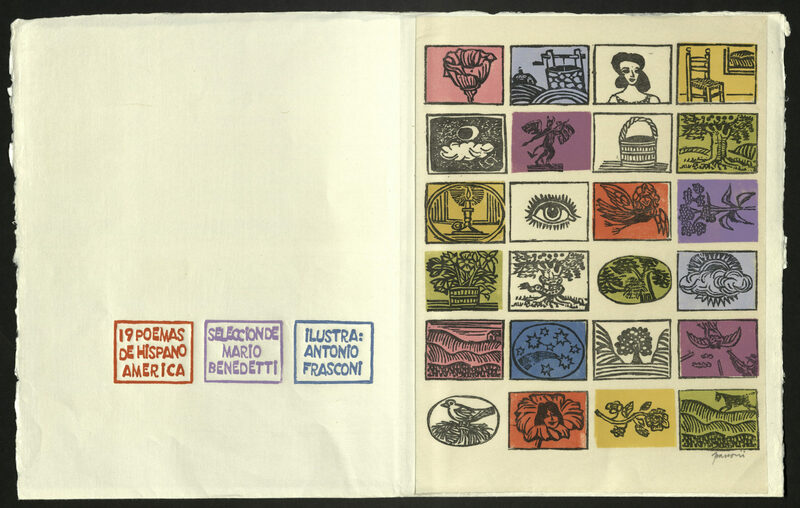 1924, Nicaragua), Ernesto Cardenal (b. 1924, Nicaragua), Juan Gelman (1930-2014, Argentina), Roberto Fernandez Retamar (b. 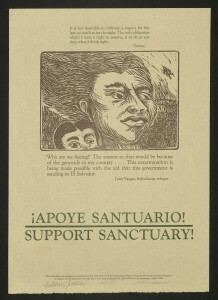 1930, Cuba), Marco Antonio Montes de Oca (1932-2009, Mexico). Issued in orange cloth tray case made by George Wieck. 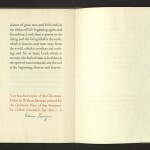 Edition of fifteen signed copies. The University of Utah copy is no. 3. Antonio Frasconi was born in Buenos Aries and grew up in Montevideo, Uruguay. His parents, of Italian descent, had moved from Italy to Argentina during World War I. At the age of twelve, he began apprenticing with a printer. Frasconi liked the idea of making multiples in order to offer art at reasonable prices. Frasconi moved to the United States from Argentina in 1945 at the end of World War II on a scholarship to study at the Art Students League in New York City. In 1952, he received a Guggenheim Fellowship. In 1959, he was a runner-up for the Caldecott Medal, an honor awarded to the illustrator of the best American picture book for children. The House That Jack Built, was also written by Frasconi and remains a favorite today. He was elected into the National Academy of Design as an associate member and became a full Academician in 1969. In 1982, Frasconi was named Distinguished Teaching Professor of Visual Arts at the State University of New York at Purchase. 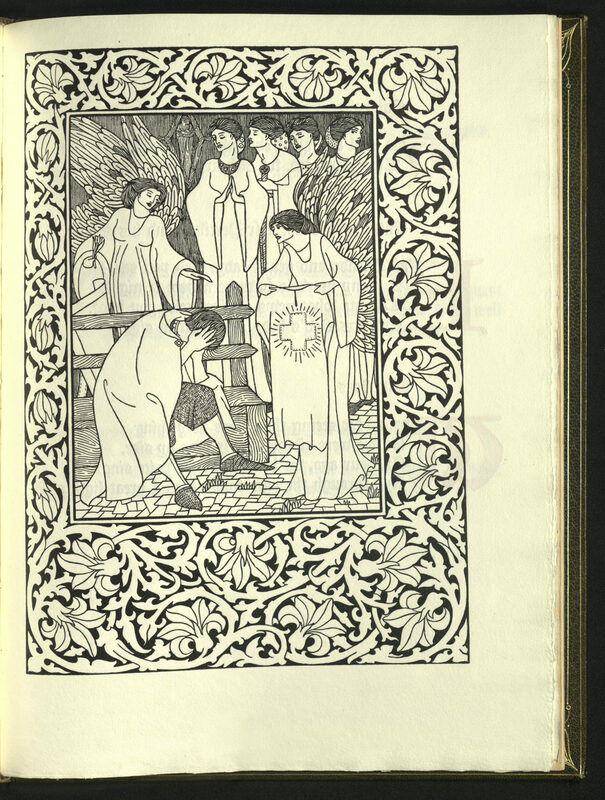 Frasconi illustrated more than one hundred books. 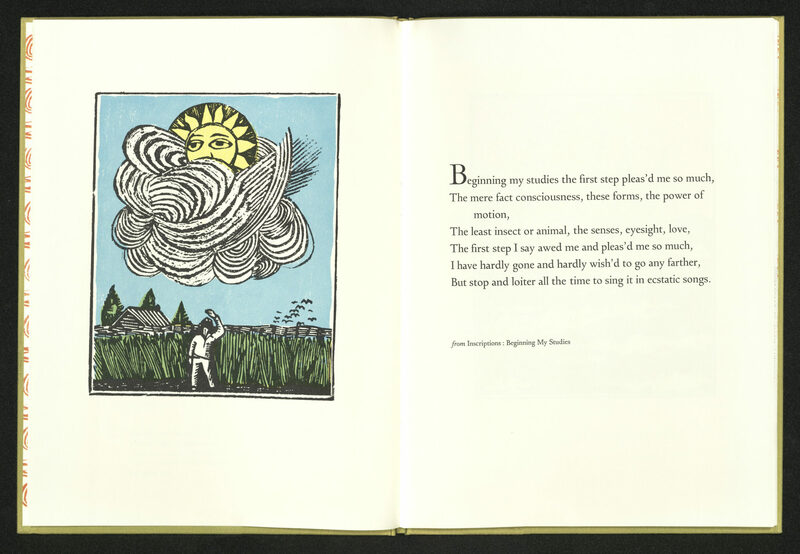 His woodcuts appeared on album and magazine covers, holiday cards, calendars, posters and a U.S. postage stamp. His work is in the Metropolitan Museum of Art, the Museum of Modern Art, the New York Public Library, the National Gallery of Art, the Smithsonian and private collections. Linoleum blocks by Antonio Frasconi illustrate fables adapted by Glenway Wescott. 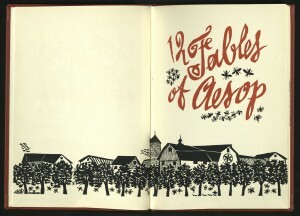 The book was designed by Joseph Blumenthal and honored by the American Institute of Graphic Arts as one of the year’s 50 best books. Edition of nine hundred and seventy-five signed copies. University of Utah copy is no. 724. 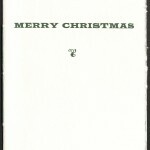 Issued as holiday greetings from Henry Holt and Company, Christmas, 1956. Printed to honor Antonio Frasconi by the Republic of Uruguay at the 34th Biennale in Venice. 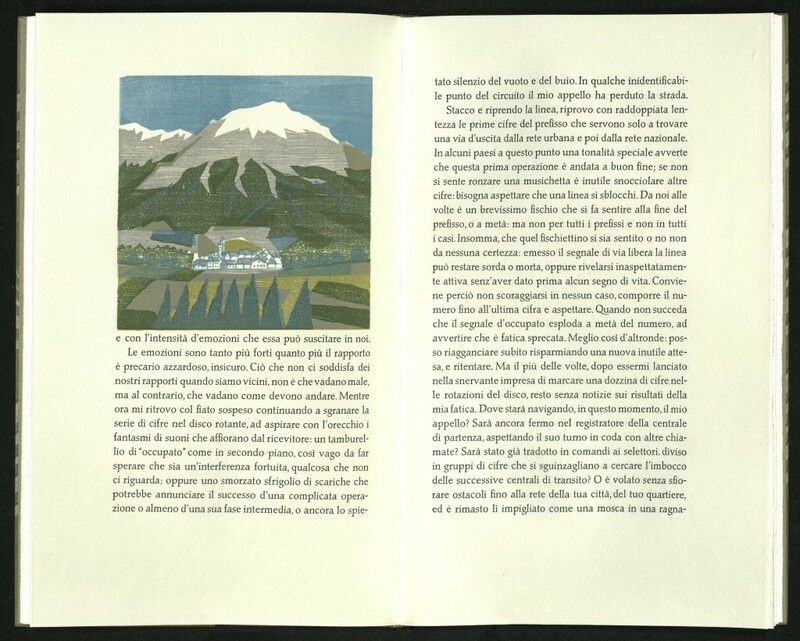 Color reproductions of woodcuts printed on a continuous strip of paper folded accordion style. Bound in grey cloth boards. Issued in black slipcase with printed paper label. University of Utah copy gift of Gabriel Rummonds. Color woodcuts by Antonio Frasconi. University of Utah copy signed by artist. Broadside designed and printed by Antonio Frasconi and John Risseeuw “in support of the churches that take part in the new underground railroad known as Sanctuary.” – from the colophon. University of Utah copy nol. 123, signed by the designers. English translation by William Weaver (1923-2013). 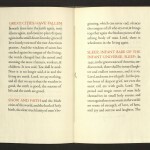 The aesthetic and technical challenge of binding this edition inspired Craig Jensen to pursue edition binding over an intended career in book conservation. 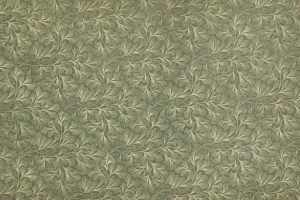 It also marked the beginning of his work with master printer Gabriel Rummonds. Illustrated with four multi-colored woodcuts by Antonio Frasconi. 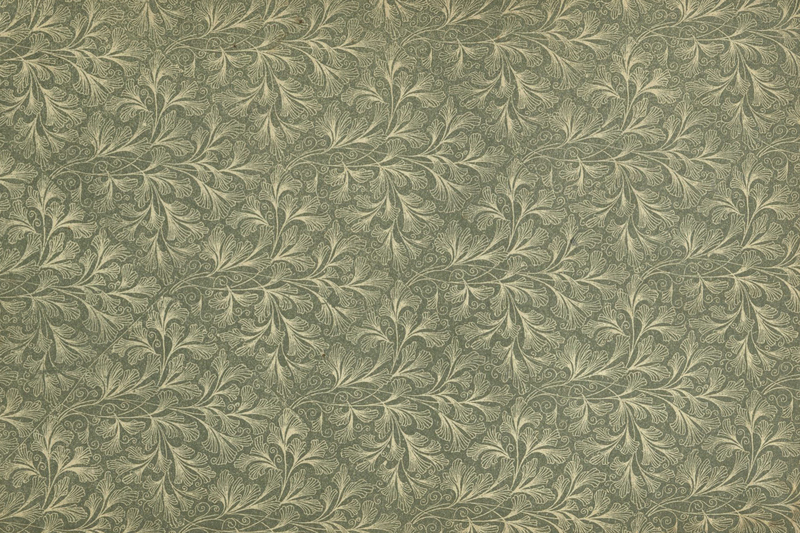 Printed on an 1847 Washington handpress by Gabriel Rummonds and Alessandro Zanella. 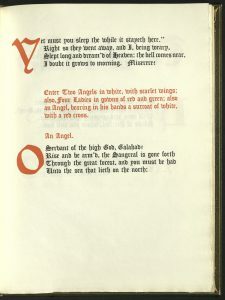 Some pages printed on double leaves. Type is handset Post Mediaeval cast by H. Berthold A.G. Paper handmade at the Cartiere Enrico Magnani, printed damp. Tan quarter leather with paste paper sides by Antony O’Hara. Binding is a tight joint, in-boards style, incorporating a spine hollow and handsewn silk endbands. Housed in a cloth-covered, drop-spine box with the Plain Wrapper Press device set in a recess on front board. Edition of seventy-five numbered copies, signed by the poet and the artist. University of Utah copy is no. 4, printed for Tom and Elfie Rummonds. Carlos Oquendo de Amat was born in Puno, Peru, but spent most of his childhood on the streets of Lima. Puno was a provincial capital on the shores of Lake Titicaca. Amat’s father was a Sorbonne-educated progressive newspaper publisher, a prominent member of Puno society and a vocal opponent of Peru’s conservative Catholic establishment. Upon the death of his father in 1918, Amat and his mother moved from genteel comfort in Pano to poverty in Lima, at a time when the city experienced growth and transformation in the form of new working and professional classes. 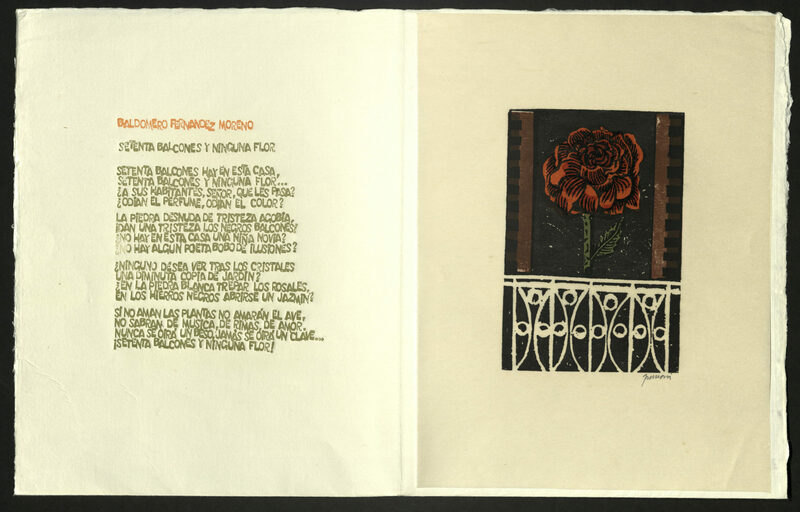 Amat became a part of an extensive avant-garde poetry movement in Lima. Cinco metros de poemas is his only publication, written between 1923 and 1925, and printed in 1927, when Amat was 19. 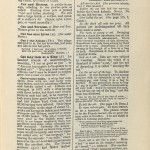 The original publication, produced in Lima by La Editorial Minerva, was printed on a single sheet of folded paper five meters long. The lines were composed in varying layouts throughout the sheet. 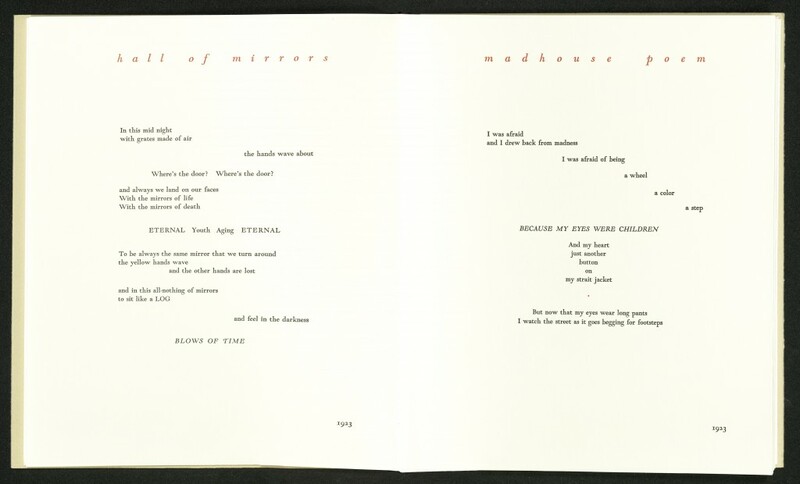 The poem-object is reminiscent of earlier and contemporary European modernist movements that included poets such as Baudelaire and known to the literati in Lima. Amat joined the Communist Party, and spent the rest of his life in and out of jail for dissent. He contracted tuberculosis in prison. He was deported to Panama, from where he managed to get to Spain. He died there shortly after he arrived and just before the Spanish civil war. Translation of Cinco metros de poemas by David M. Guss, with an introduction by Guss. 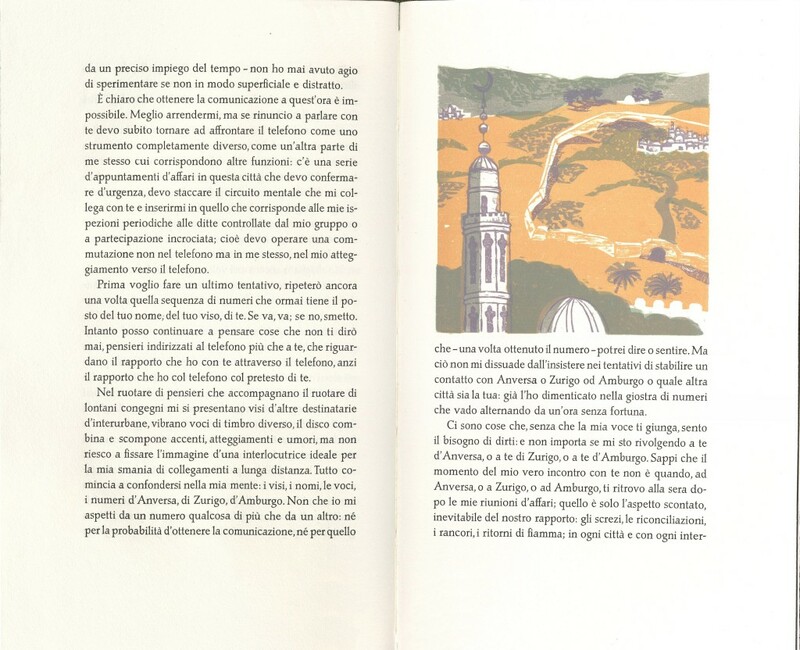 Illustrated with woodcuts by Antonio Frasconi. Formed as one folded sheet, five meters long. Typeface is Goudy modern. 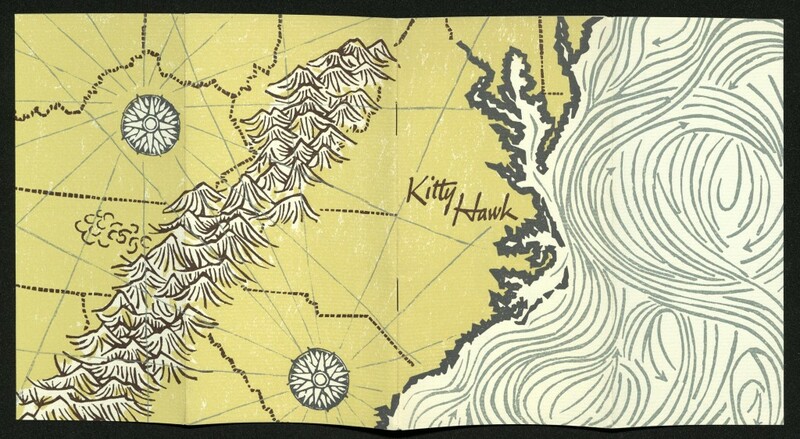 Paper is Mohawk. 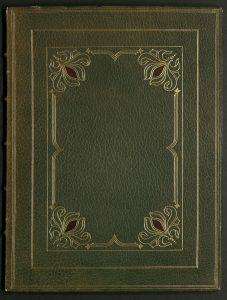 Edition of three hundred copies. Cat I’ the Adage (The). The adage referred to is, the cat loves fish, but does not like to wet her paws. A cat has nine lives. A cat is more tenacious of life than other animals, because it generally lights upon its feet. Shakespeare is coming! 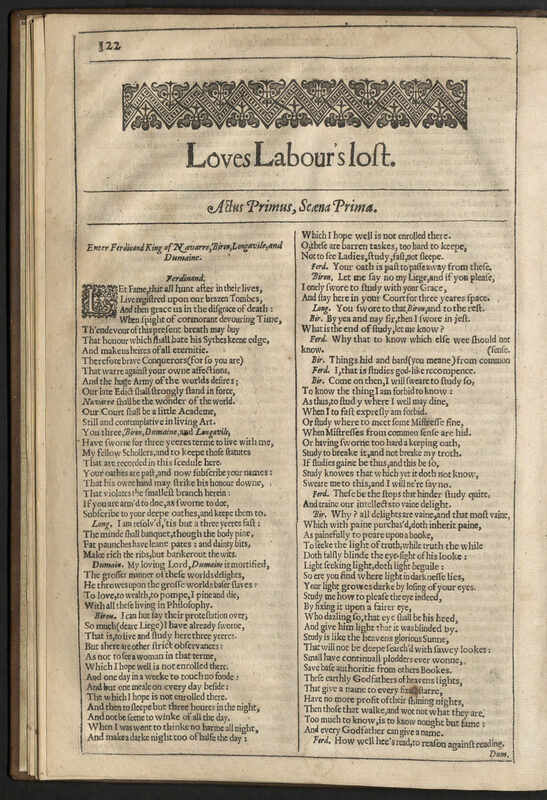 The First Folio will arrive at the City Library in October. 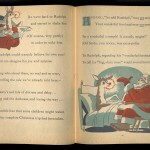 This favorite Christmas story was written exclusively for Montgomery Ward & Co., which was looking for a strategy to encourage youngsters to visit the department store. The store had been buying and giving away coloring books as a Christmas gimmick and decided to save money by creating something similar, in-house. 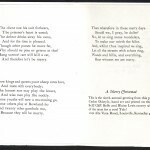 Robert May, a thirty-four year old copywriter on the advertising staff, wrote the booklet as a give-away for children during the Christmas shopping season. May was graduated from Dartmouth College in 1926 and joined Montgomery Ward in 1936. He was known to his colleagues for his unpublished children’s stories and limericks. 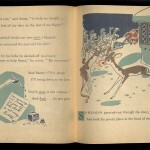 Rudolph was hugely popular (two and a half million copies were distributed in 1939 alone), and Montgomery Ward continued to publish it every Christmas until 1946, by which time six million copies had been given away. Because May had created the story as an employee of Montgomery Ward, he received no royalties. But in January 1947, May persuaded its corporate president to turn the copyright over to him. His financial future was assured. May claimed that the success of Rudolph enabled him to put his six children through college. May quit his job in 1951 and spent many years managing his creation before returning to Montgomery Ward seven years later, where he worked until his retirement in 1971. 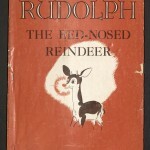 May sent a copy of Rudolph to his friend, songwriter Johnny Marks, who wrote the tune that made Gene Autry famous. Forty-one color illustrations by Denver Gillen. This copy was given to Sue Epperson McCoy, five years old, in 1939, as a promotional from the Junction City, Kansas Montgomery Ward. She donated it to the J. Willard Marriott Library. A keepsake printed for the San Francisco book shop Gelber, Lilienthal, and Saroyan’s second book. 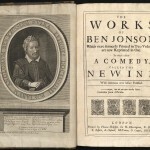 Edition of two hundred copies. University of Utah copy is no. 6, signed by William Saroyan.